Donald Trump has had a lot to say about it, and some of his critics say fueling, it, but Pope Francis is to tackle fake news head on. The Vatican said the Pope has weighed in on fake news and want to confront the phenomenon to eliminate the spread of false information, stop hate messaging, and provide the truth. "I have chosen this theme for World Communications Day 2018: 'The truth will set you free'. Fake news and journalism for peace," he said on Twitter on Sept. 29. "Fake news and journalism for peace," is the theme of the annual Catholic Church observance that the Pope announced with a post on Twitter (@Pontifex). World Communications Day, the only worldwide celebration called for by the Second Vatican ‎Council ‎‎("Inter Mirifica," 1963), is marked in most countries, on the recommendation of the world's Catholic bishops. It is marked on the Sunday before Pentecost, which in 2018 will fall on May 13, though the Pope's speech will be released in January on the feast day of the patron saint of journalists. The Vatican said Francis wants to tackle "an often misleading distortion of facts" and the spread of "baseless information that contributes to generating and nurturing a strong polarization of opinions." 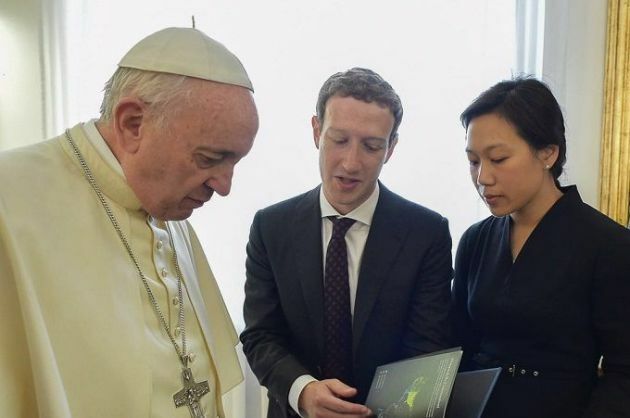 "In a context in which the key companies of the social web and the world of institutions and politics have started to confront this phenomenon, the Church too wishes to offer a contribution," it said. As usual, the actual theme includes a Biblical quote: "'The truth will set you free.' Fake news and journalism for peace," with the famous Scriptural phrase drawn from the Gospel of John. For the first time since a pope issued a message for World Communications Day in 1967, the theme was also announced by the Pope via Twitter, Crux reported. Given that key internet companies, institutions and the political arena have begun to address the phenomenon, which involves "an often misleading distortion of facts, with possible repercussions at the level of individual and collective behavior," the Church too, wants to contribute, the statement said. That contribution will come in the form of "a reflection on the causes, the logic and the consequences of disinformation in the media." It will help with the promotion of "professional journalism, which always seeks the truth, and therefore a journalism of peace that promotes understanding between people."